1) Wash and condition with a sulfate-free shampoo and conditioner to help your hair resist breakage. Our Green Supreme shampoo and conditioner are infused with matcha, coconut water and moringa to feed your hair with strength-boosting superfoods. 2) Once a month, treat yourself to a deep conditioner to properly moisturize locs — because hydrated hair is happy, shiny hair. We love incorporating Coco Crème Velvet Cream Hair Mask as part of a regular self-care ritual. 3) If your natural hair locs or goddess braids get frizzy, you can easily tame flyways and smooth things out. We always keep a bottle of Pracaxi Nectar Frizz Tamer on hand — just rub a small amount between your hands and lightly palm roll. Voila! 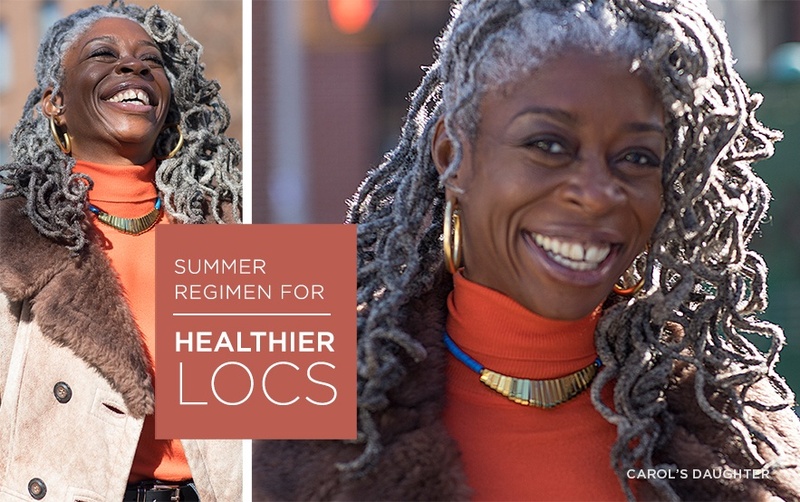 Smooth, frizz-free locs. 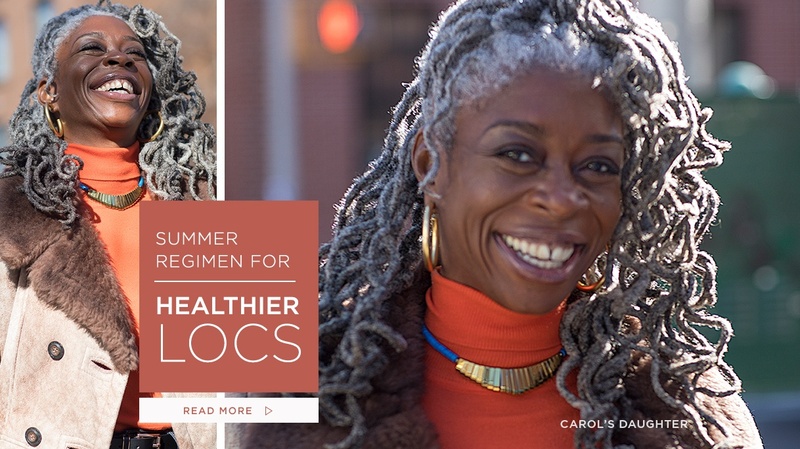 While especially great for locs, these tips are important for all natural hair styles, too! Click here for more summer must-haves for healthy hair all season long.